Transfers to Val Thorens are available from 3 different airports during the 2018 / 2019 winter ski season. 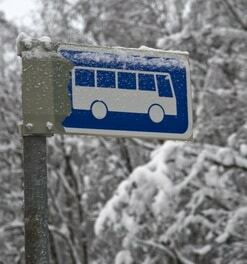 Ben’s Bus offers the best value shared transfers to Val Thorens and its neighbouring resorts. Our network includes regular shuttles from Geneva Airport to Val Thorens, Grenoble Airport to Val Thorens and Lyon Airport to Val Thorens. All our services stop at the main bus station and the UCPA. 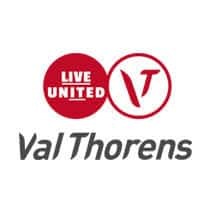 Click on a logo below to see more details on how to get to Val Thorens from your airport. Ben’s Bus Val Thorens transfers run from Geneva, Grenoble and Lyon Airports on week-ends as well as on Fridays from Lyon Airport. Our shared transfers operate up to the 20th April 2019, depending on which airport you use. We have many shuttle buses each day and we usually transport passengers in large coaches, which means cheaper fares, a lower carbon footprint and less environmental impact. With our fantastic discounts for groups and children, our prices start from just £73pp Return. The closest airport to Val Thorens is Chambery, but there’s a much greater choice of flights and airlines from Geneva Airport (GVA), Lyon Airport (LYS) and Grenoble Airport (GNB). The transfer time to Val Thorens is just over 3 hours, although this depends on the traffic, weather and which airport you’re flying into. Ben’s Bus allows more time for the journey when travelling conditions may be difficult, such as during the school holidays. Val Thorens sits at the end of the Belleville valley road, the D117. Our buses may stop along the way at Moutiers, St Martin de Belleville and Les Menuires. Geneva Airport to Val Thorens is 155 km and the transfer time is about 3 hours 15 mins. A Return costs from £76.50pp. Get directions from Geneva Airport to Val Thorens. Lyon Airport to Val Thorens is 199 km and the transfer time is about 3 hours 35 mins. A Return costs from £85pp. Get directions from Lyon Airport to Val Thorens. Grenoble Airport to Val Thorens is 187 km. The transfer time is about 3 hours 25 mins. A Return costs from £72.50pp. Get directions from Grenoble Airport to Val Thorens. Chambery Airport to Val Thorens is 122km and the transfer time is about 2 hours 30 minutes. Get directions from Chambery Airport to Val Thorens. Moutiers Coach Station to Val Thorens is 38 km and the transfer time is about 1 hour 10 minutes. If you are arriving by eurostar and looking for transfers from Moutiers train station, we’d recommend the local Val Thorens public buses or a taxi. All our airport transfers to Val Thorens from Grenoble, Geneva and Lyon Airports stop at the main bus station, the “Val Thorens Gare Routiere”. We also have a stop at the Val Thorens UCPA centre but you should only use this stop if you are staying at the UCPA. From the bus station, you can take the free in-resort shuttles to get to your accommodation. These shuttle buses also connect the UCPA centre to the main resort. You can see the Bus Station stop on google maps or click the map below to see Tourist Office Interactive Map of Val Thorens. Our e-Tickets display this map as well as the pick up time for your stop. 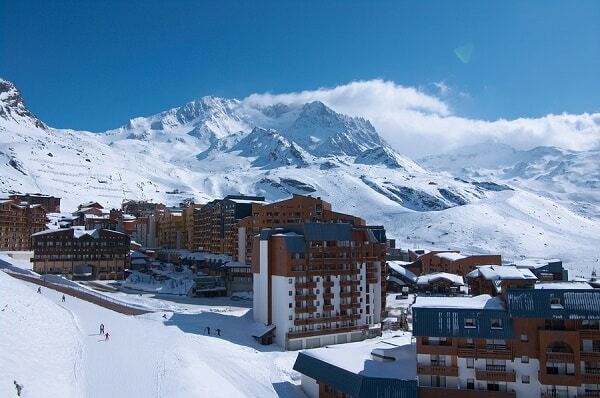 Val Thorens sits at an altitude of 2300m, making it the highest ski resort in Europe. It’s known for its party atmosphere and because of this, it’s very popular with young groups. It has a great selection of bars, nightclubs and restaurants. Constructed in the 1960’s as a purpose built resort, there are some new and renovated developments which have made it much more attractive. 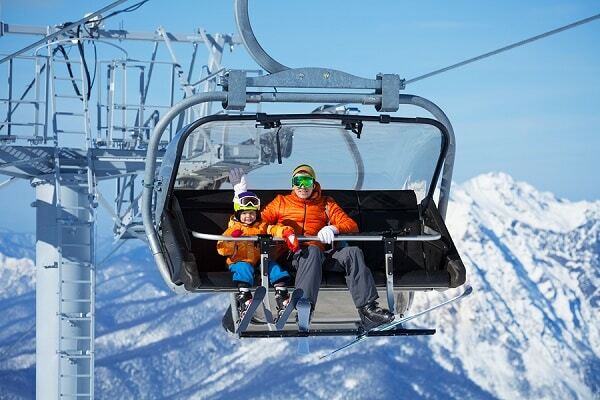 It is part of the 3 Valleys ski area which offers over 600km of marked runs, serviced by 200 ski lifts. It has 49 black runs, 175 reds, 207 blues and 66 greens. If you have a 3 valley ski pass, you will get access to 2 glaciers, ensuring your ski holiday is snow-sure. 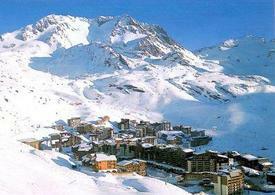 We offer the cheapest Val Thorens Airport Ski Transfers on the market. We also have low cost shared transfers to many other resorts. Resort Information: Explore the Val Thorens Tourist Office website. Weather Forecasts: Try the Meteo France for Val Thorens website or the Val Thorens snow-forecast website. Visit the Geneva Airport website, Lyon Airport website, Grenoble Airport website or Chambery Airport website for information about the airports.